Spread across our countryside are hundreds (perhaps thousands) of Smokey the Bear “Fire Danger” signs. They indicate the relative danger there is of a campfire starting a forest fire. Because of the humidity and abundance of rain in Illinois, the signs almost always read, “Fire Danger: Low.” Not so in California. 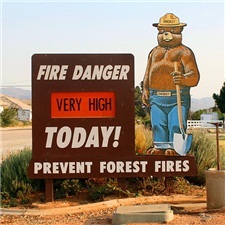 There, the Smokey the Bear signs often read, “Fire Risk: High.” Forest fires are a yearly event in California and Arizona and Texas. Often times, they destroy tens of thousands of acres of forest and force the evacuation of hundreds of homes. When it comes to our tongues, the danger sign always reads, “Very High.” We can set a blaze with our tongues that will cause untold damage. “See how great a forest is set aflame by such a small fire. And the tongue is a fire, the very world of iniquity” (James 3:5b-6a). Seventeen years ago today (October 4, 1994), David “Burney” Dunn died a tragic death. I knew him in college. I remember him as a soft-spoken guy who played some really good soccer. He was the starting sweeper for our championship soccer team. At the time of his death, I believe that he was in Alaska, studying for his doctorate. Today isn’t only a day to remember his life. It’s also a day to remember the shortness of our lives. I can hardly believe that it was seventeen years ago that I received the phone call telling me of his death. It doesn’t seem nearly that long ago. Time continues to pass quickly. We will soon be at death’s door as well. It won’t seem to be too long from now. It would be wise to prepare for that day. Our life is but a vapor (James 4:14). So let us pray with Moses, “Teach us to number our days, that we may present to You a heart of wisdom” (Psalm 90:12). About a year ago, our refrigerator began making some loud clunking sounds. After a bit of Googling, I found out that it is most likely caused by a broken spring in the compressor. The compressor still works, and may for several years. But, it may stop working tomorrow. 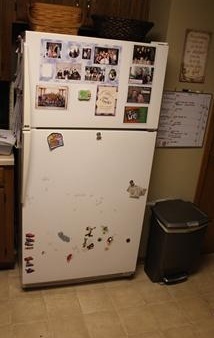 At some point, we need to replace the refrigerator (as repairing the compressor isn’t economically feasible). I’m writing about this because the clunk got much louder today. Perhaps another spring in the compressor broke. So, what am I doing about it? I know this seems silly, but I seem to be waiting until the refrigerator dies. I can picture myself rushing out someday and getting a new one, possibly losing all the food in the refrigerator in the process. As I write this, I’m questioning my wisdom with this plan. Sadly, this is how many live life. Everyone knows that they will die someday. But, most people don’t really plan for their death, thinking that they will have many years yet to live. It may be that they will find themselves at the precipice of death tomorrow, totally unprepared for the reality of facing God and giving account for their lives. 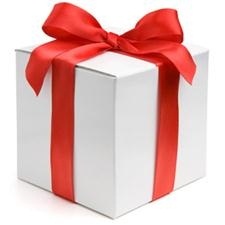 James says, “you do not know what your life will be like tomorrow. You are just a vapor that appears for a little while and then vanishes away” (James 4:14). Wisdom would have us think about our death and prepare for it by trusting in Christ today. Perhaps we’ll get a new refrigerator soon. All four of us paid our $5 and got in on the challenge. The golf pro then proceeds to hit his shot. He duffed it! It went way right, far from the green! 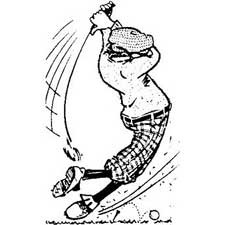 It was tremendously encouraging for all of us to see that even a golf pro hits bad shots. I thought of how this is like when a spiritual leader confesses his sins. It’s encouraging to others to see that even those who are leading others spiritually are also sinners. 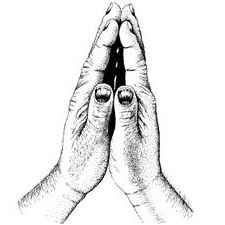 Perhaps this is why James said, “Confess your sins to one another, and pray for one another” (James 5:16). It’s encouraging to everyone. Back to my story. All we had to do was be on the green to double our money. However, after four of us hit our shots, none of us were on the green. Oh well, … it was a fund-raiser. As a child I loved playing dodgeball. In Junior High we were rewarded for a good week of class by being allowed to play dodgeball. Sadly, most of us are still playing dodgeball. 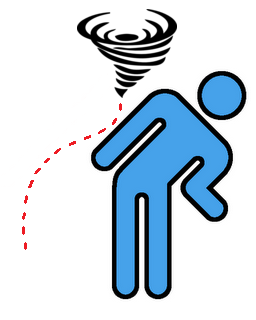 We play dodgeball with the disasters all around us. We try to dodge from tornadoes. We try to dodge from cancer. We try to dodge from earthquakes and plane crashes and nuclear meltdowns and financial collapses. While dodging the disasters may work for a while, we can’t run and hide forever. The death rate is still going strong at 100%. Our life is short. “You are just a vapor that appears for a little while and then vanishes away” (James 4:14). I would encourage you to prepare yourself today for the disaster that may come tomorrow. Job was prepared. When disaster took out his family and possessions, Job said, “The LORD gave and the LORD has taken away. Blessed be the name of the LORD.” When facing these disasters, “Job did not sin nor did he blame God” (Job. 1:21-22).